We’ll be the first to admit it. 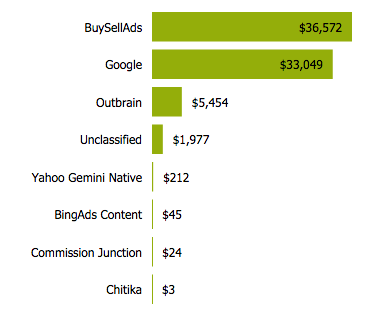 Display Advertising can be tricky for B2B SaaS companies. Many factors which include a longer time to see a positive ROI (longer sales cycle), difficulty targeting business owners (not consumers) and the constant harping of “display doesn’t work” all contribute to B2B companies shying away from display. However, with the right targeting, a good landing page and a long-term mindset, Display advertising can be a very effective channel for B2B SaaS companies. In today’s post you’ll see 5 different B2B SaaS companies of varying sizes who have found a way to make Display advertising work for them. 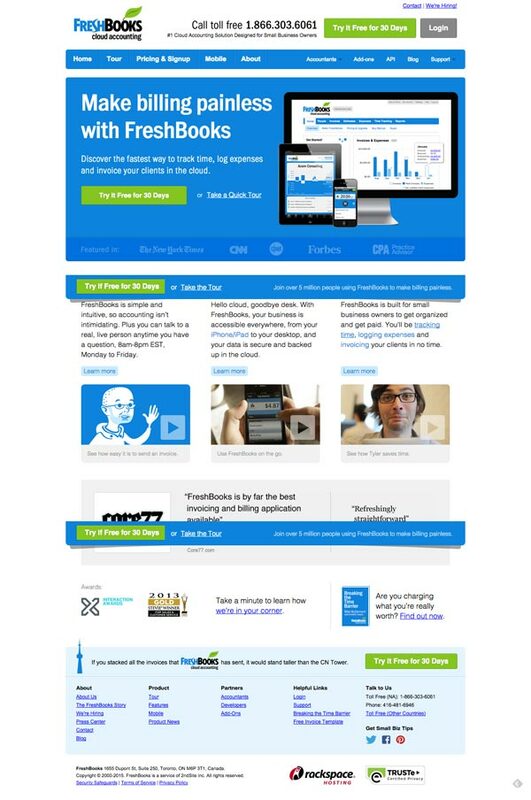 Any B2B SaaS company who’s interested in testing out paid traffic could learn a thing or two from what these advertisers are doing. 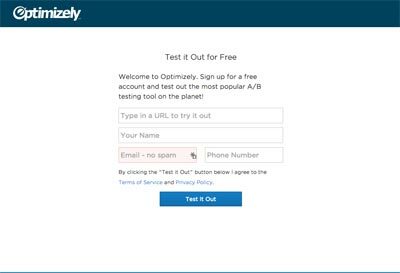 Optimizely is one of the latest A/B testing web apps out there. I’ve used it extensively in the past and I’ll admit that they’ve really got a great tool. A/B testing is super important in figuring out what works on Display and Optimizely is doing a bang up job, specifically in regards to retargeting. 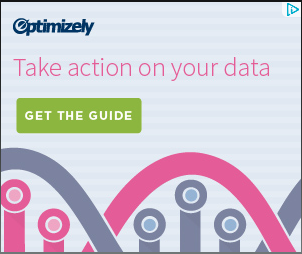 Optimizely leans towards using opt-ins for receiving valuable information. Our instinct is that they’ve figured out that a lot of business owners still need to be educated on the benefits of A/B testing. They might be willing to sign-up for a free trial, but they might need a bit more time to learn how to use the tool properly and become a long-term customer. Pure Google. Google is a great traffic source for B2B companies since they tend to have higher quality publishers running Google Adsense. 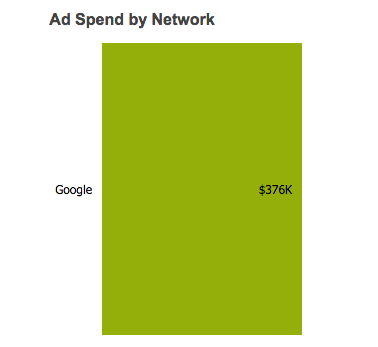 Remarketing campaigns tend to show ads on any sites that support Google Adsense. 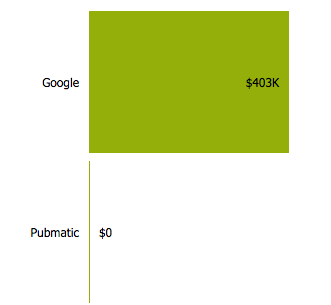 This means that the publishers showing Optimizely’s ads could be a bit random. However, when you see someone spending an non-trivial amount with a specific publisher (even through remarketing) you can speculate that this publisher works for that specific vertical in general, not just for remarketing campaigns. The publishers are a mix of sites that show tech related content — The Google System blog, Slideshare, Mashable, Search Engine Land, Search Engine Journal, etc. — and some of the more general sites that are a bit more “fun” and quite popular — Playbuzz, The Onion, AV Club and Daily Dot. 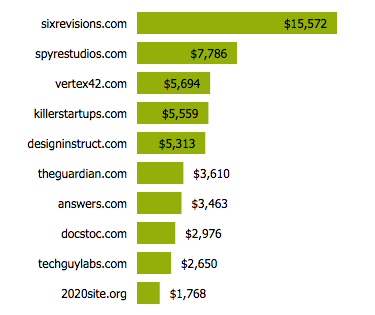 If I were the campaign manager for a B2B SaaS company, I would test out buying traffic from tech related sites first. These sites are going to give you the most bang for your buck when you’re first getting started. The more general sites (like Playbuzz) can be a crapshoot. These sites will get you more traffic, but will be off target for any non-remarketing campaign. The ads are pretty straight forward. When you use remarketing it’s sometimes best to keep them basic. The person is already going to be familiar with your brand. You just need to remind them who you are (usually with a more “branding” style ad) and have a tempting call-to-action. Very basic landing page. No distractions — just an easy way for them to test out Optimizely. 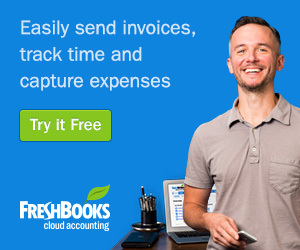 …a cloud accounting service, FreshBooks helps service-based small business owners manage their time and expenses, send branded invoices, and collect online payments by credit card, PayPal, or eCheck. Save time, impress your clients, work anywhere and get paid faster. They rely heavily on BuySellAds, which is a platform that connects advertisers directly with publishers. It’s basically a way for advertisers to do a direct media buy without all the initial contact, negotiation and payment issues. BuySellAds allows you to use their payment system to pay for ad space at a fixed CPM/CPC price. BuySellAds can work well, but the traffic levels tend to be a bit lower and you’re limited in which publishers you can advertise with. However, they are a great option for any advertiser interested in getting started with direct buys but who isn’t quite ready to take the “training wheels” off. 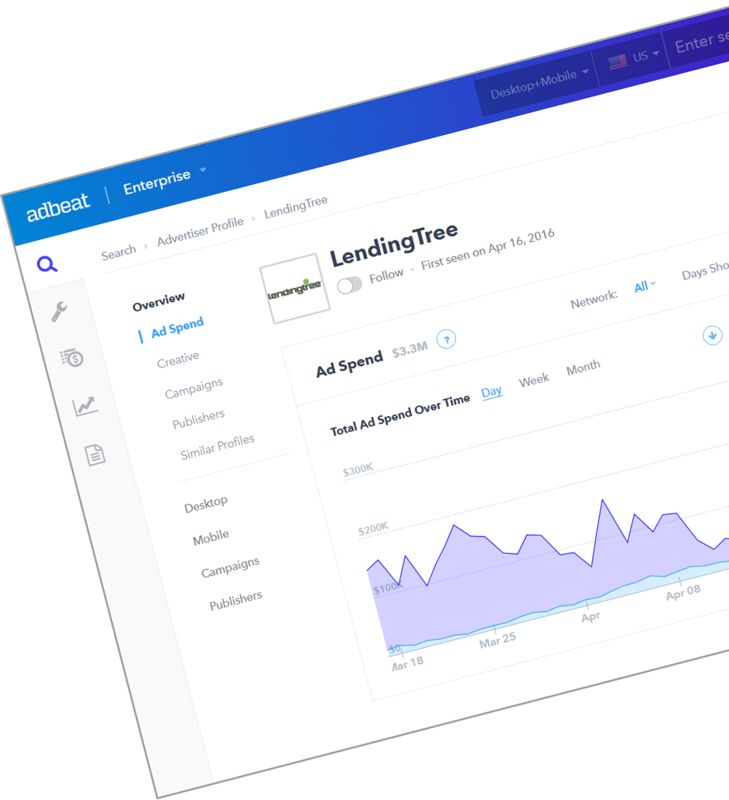 Similar to Optimizely, they’re buying a lot of traffic from smaller sites aimed at designers, developers, start-ups and people looking for financial Excel templates. Their ads highlight a pain point that their target audience has: billing and invoicing is annoying. No one wants to do it and most people are willing to pay for a solution. Very solid landing page that aligns perfectly with the copy in their ad creative (“Make Billing Painless”). …a software development firm providing a SaaS suite that offers help desk ticketing, issue tracking, and customer service support. 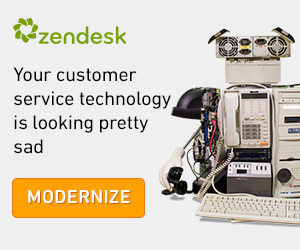 Zendesk might not be the best example as far as Display advertising strategy goes, mainly due to the fact that they went public in 2014. This means they probably have a large budget and can be more patient in attaining a positive ROI. However, they’re doing some interesting stuff on Display and are worth taking a look at. Again, we’ve seen almost solely Google so far. 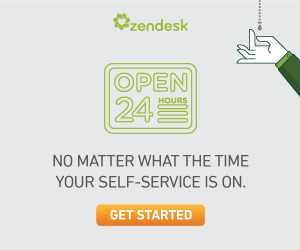 Zendesk is no exception. 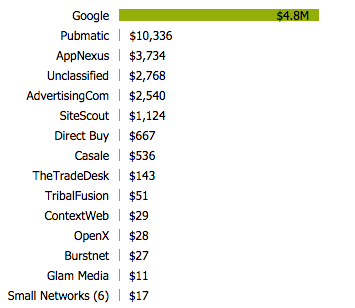 The publishers they’re spending the most with are similar to the publishers being used by the other companies featured in this round up. Tech blogs, software download sites, mobile news, the Google System blog on Blogspot, etc. Zendesk’s ad creatives tend to be a bit quirkier. They just started a new campaign called “Embeddables”. You’ll find out more about this below in the landing pages section. 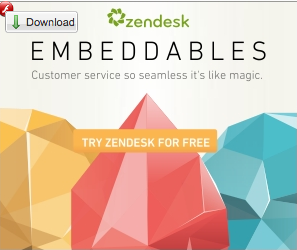 Zendesk appears to have two different campaigns running. Plus a campaign for what they call “Embeddables”. This appears to be a new features that allows you to integrate Zendesk directly into your web and/or mobile app. It’s a more advanced feature that more tech savvy companies might be interested in. 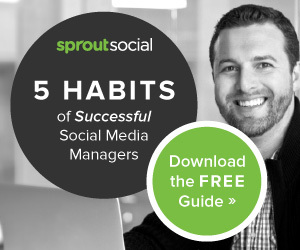 Over the past couple of months I’ve been bombarded with ads from Sprout Social. I thought it would be only fair to include them here. Lots of sites similar to the other advertisers showing up. Daily Dot, Slideshare, some social media news sites, etc. 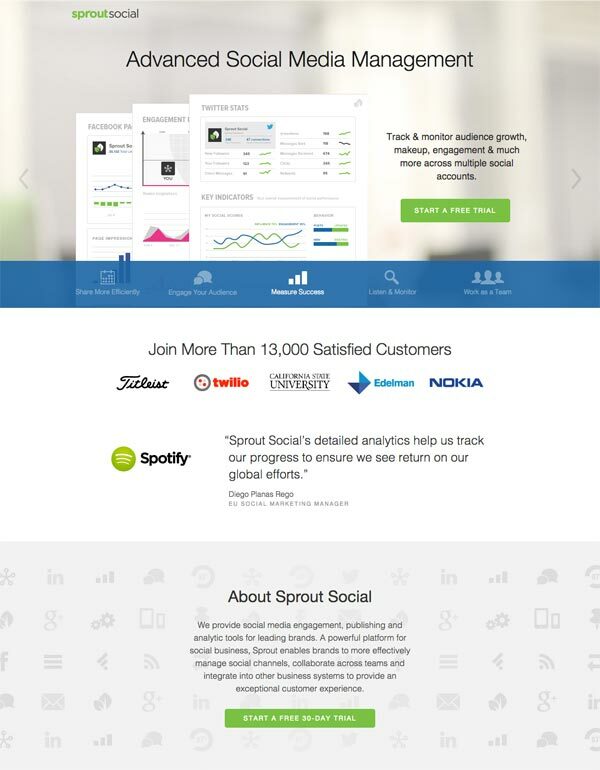 Sprout Share is also buying quite a bit of traffic on Iconosquare, an Instagram analytics app. Makes sense since Sprout is social media software and Instagram is one of the latest social channels that marketers are taking advantage of. 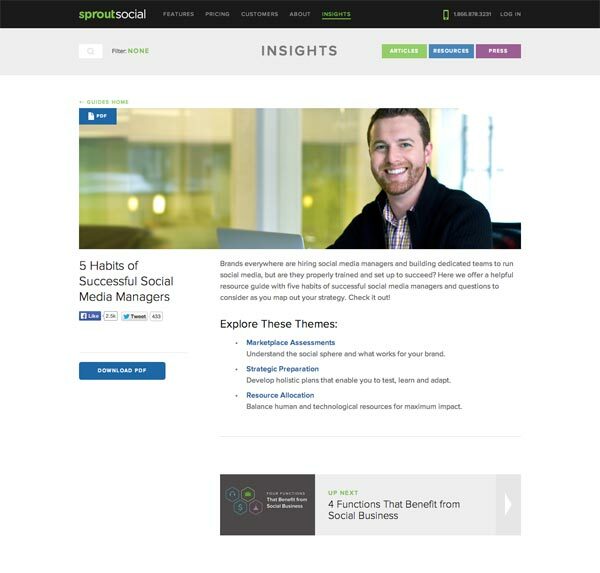 Two different kinds of campaigns: A direct straight to “free trial” ad and a lead generation campaign that offers a free guide to becoming a successful social media manager. 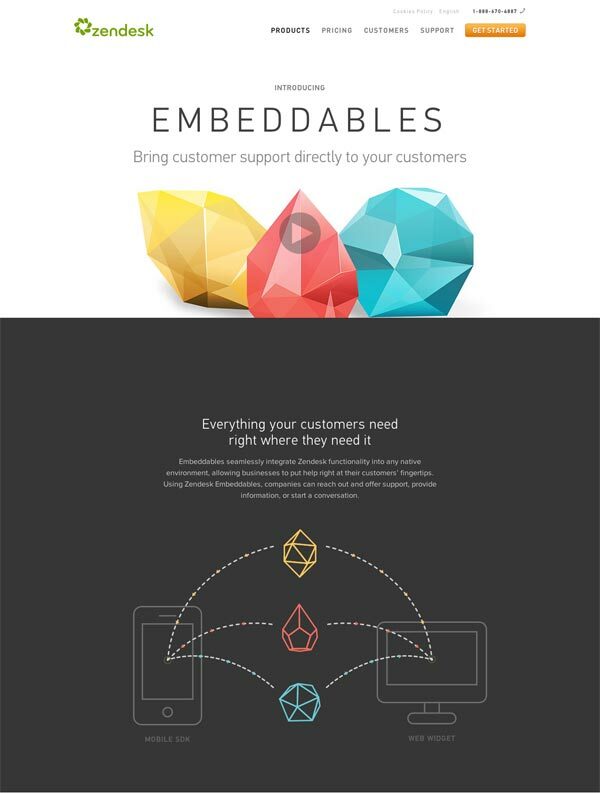 Their two landing pages coincide with the two types of campaigns that they’re running. Like Zendesk, Hubspot also went public. They’re taking a different approach by focusing more on Content Discovery Networks. Hubspot is taking a different approach from the other companies. They’re focusing specifically on Content Discovery Networks, specifically Outbrain, to drive traffic to their blog and focus on getting the prospect to sign-up for a lead magnet. 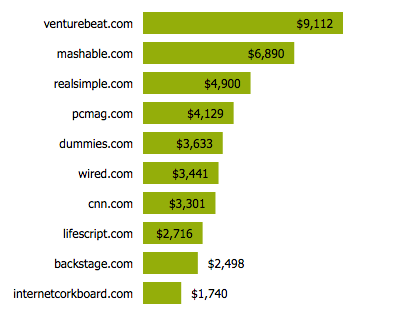 This makes sense for Hubspot because their software is very expensive. The customer courting process might be very long and could take years before it’s completed. Building a relationship through email is key. Since infographics are very effective (but expensive to create), someone who works at a start-up is going to at least be curious to see what they or a designer can do with these free templates. 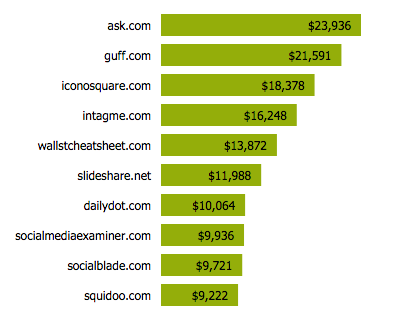 Plus, since you have to opt-in to receive them, Hubspot is probably getting a pretty good amount of qualified leads. Again, this goes back to their need to build a stronger customer relationship due to the price of their service. 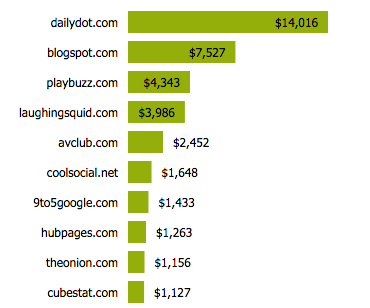 On another note… a lot of people wonder what the best way to get a bunch of traffic to their content is. You’re guaranteed that people will see it. People will also share the content if you’ve taken the time to write or offer something of high quality. 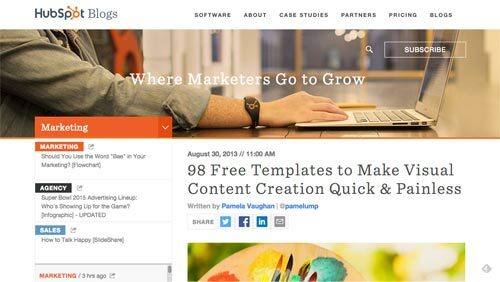 As of the writing of this post, this article on Hubspot has been shared over 2.6k times on Twitter and liked by over 3.2k people on Facebook. They’ve no doubt gotten a ton of free traffic just from shares alone. It’s worth paying for initial “seed” traffic when you know you’re going to get your money’s worth of free, organic traffic as a result. It can be a bit more difficult to achieve a positive ROI on display when you’re selling an expensive or complex B2B SaaS product. However, the companies above have already paved a path for future advertisers. 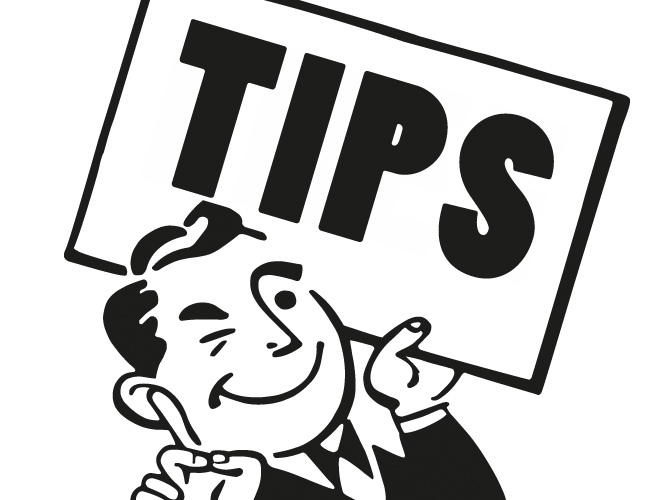 You’ll likely see very good results if you take a few insights from their paid advertising strategies and tailor them to your company’s specific needs. 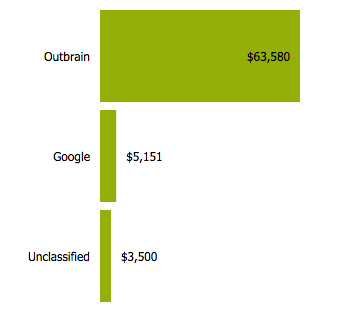 Awesome Post, Gave me a few ideas on different types of offers to run in content networks aside from opt-in campaigns. Thanks!